Having children brings with it a lot of hard work, but more importantly, their appearance in our lives brings lots of joy & renewed curiosity about learning, exploring, discovering & doing things differently. 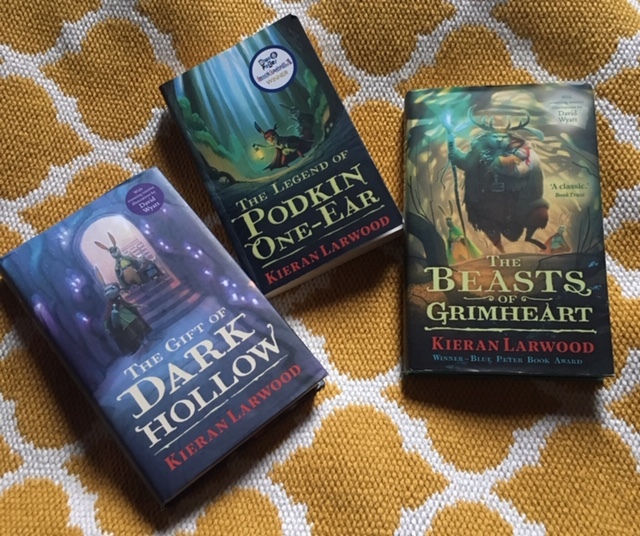 For me as a voracious reader since childhood, it also means not only sharing my favourite childhood books with my kids, but discovering new ones alongside them. 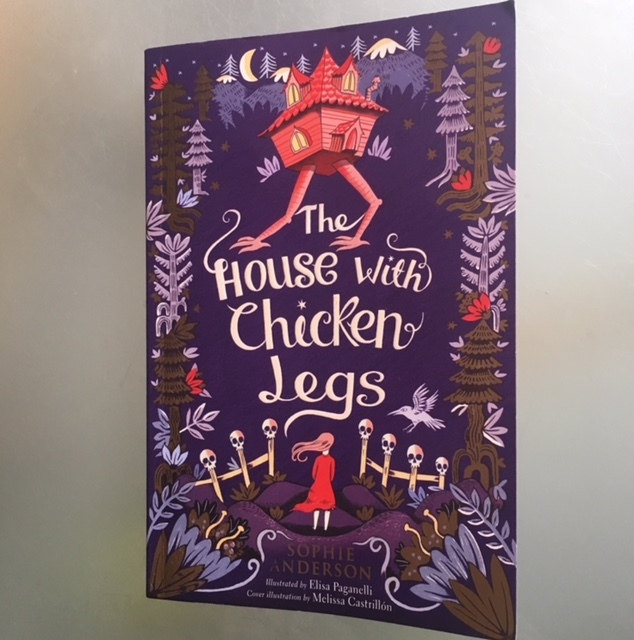 My kids are also at an age now when they choose their own books, but sometimes a new children’s book grabs my attention first & my bedside light stays on till late at night, as has been the case with Sophie Anderson‘s book ‘The House With Chicken Legs’. Beautifully written in a way that appeals both to children & adults alike, it tells a story of a young girl, Marinka, who lives with her grandmother, Baba Yaga, and dreams of having a normal life. They live in a house (you guessed it!) with chicken legs, which picks itself up and walks away from one place to another when it so desires, preventing Marinka from putting down roots, going to school or making friends. Accompanied by the charming illustrations by Elisa Paganelli & cover by Melissa Castrillon, which help enhance the worldly experience, Sophie also manages to bring magic back to life with her storytelling talent, inherited & inspired by one of her grandmothers. I was delighted to see some familiar words from the fairytales of my childhood, that only added the Russian flavour to the pages, as well as Sophie’s own twists on them. For example, in the case of Yaga Onekin, which made me think of the prologue to Pushkin’s fairytale poem for the children ‘Ruslan & Lyudmila’, which starts with ”On seashore far a green oak towers, And to it with a gold chain bound, A .learned cat whiles away the hours, By walking slowly round and round. To right he walks, and sings a ditty; To left he walks, and tells a tale….’, as well as his poetic novel in verse ‘Eugene Onegin’. It also brought up some memories of the charming cartoon that kids & I saw earlier this year, called “Coco’, based on the special meaning of The Day of The Dead in Mexico. Imagine a children’s book uniting so many threads & tying them up together into a riveting story of love, loss, hope & magic. For now my son is thinking about reading it, while my daughter is sure that she wants to (she might be a little young for it, but I can be wrong – after all, she already reads plenty of books about the witches .) & I am sure to be gifting it to friends & kids in the future. A book that draws on world cultures & brings different generations of readers together, making us all want to take a step back from our busy lives & social media pages & instead get immersed into the world of childhood magic. And who knows, it might just slow down the ageing process for some of us, grown-ups, by nurturing our inner child, while we nurture our own real ones, the new & curious generation of dreams, writers & creators of the future.